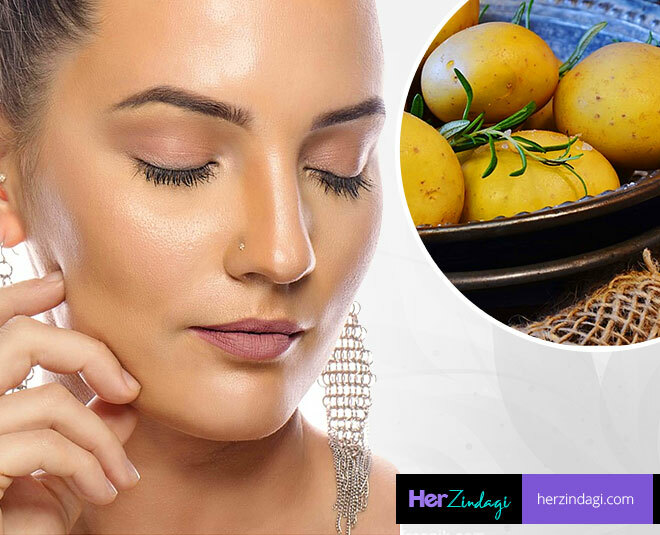 Try These DIY Potato Face Packs As Per Skin Type! Potato is an easily available vegetable and in this case, ingredient, which can be used to make several face packs at an affordable price at the convenience of your home. Why use a potato? Well simply because it helps you get rid of ugly spots, marks, and blemishes. It also reduces the inflammation which some bruises and rashes case. They help a lot in reducing puffy eyes and oh yes the most important one, delays the signs of ageing. Mix the potato, lemon juice and honey to the mixture and blend well. Do this every alternate day as it helps remove excess oil, opens up the clogged pores, and tones the skin. Mix the potato juice with honey and apply to your face and neck. Do this daily for best results as the honey moisturises your skin and keeps it soft and supple, while the potato juice is acidic and contains natural skin bleaching agents. Mix the potato, tomato pulp and honey into a smooth mixture. Apply it evenly on your face, focusing on the affected area. Do this once a day until the acne vanishes. Apply it on your face and neck and leave it to dry. Use water to scrub the dry face pack gently. Clean your face thoroughly in a circular motion. Mash the potatoes in a bowl and in all the other ingredients. Mix all the ingredients and apply it to your face. Add turmeric to the grated potato and mix well. Apply the paste to your face and neck. Use this pack twice to thrice a week.